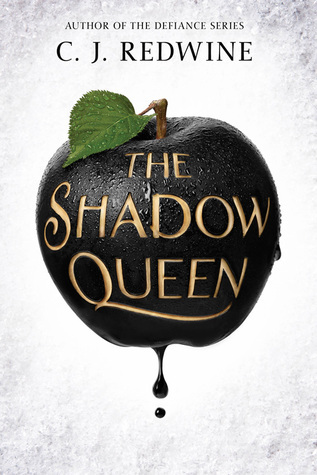 The Shadow Queen by C. J. Redwine is a retelling of Snow White. Lorelai Diederich, crown princess, aka Snow White, is a fugitive at large. Having witness her wicked stepmother kill her father, Lorelai fled the castle with her little brother. Lorelai is determined to get her revenge on Queen Irina. However, the only way Lorelai can do that is by using the one weapon she and the Queen have in common – magic. The reason why they have this common? Oh, well, the evil Queen is also her aunt. I really wanted to really like this. The story is great. I mean the aunt that is also the stepmother. Awesome. There is also a Huntsman but I’m not going to spoil the fun. The spin that Redwine takes with this story is phenomenal. Not question. No doubt. However, magic is such a massive part of the story and Redwine couldn’t really sell that part. Redwine does a great job setting up the universe and the back story but the complicate magic is never really explained and it just falls flat. This is book one of a series and I am on the fence about reading book two. This entry was posted in Fantasy, Magic, Young Adult and tagged C. J. Redwine, magic, Ravenspire #1, Snow White, The Shadow Queen, Young Adult. Bookmark the permalink.